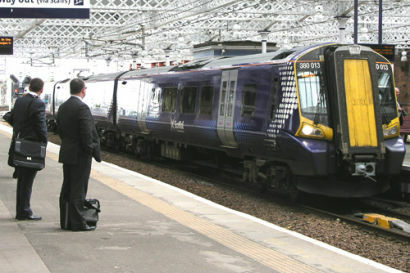 THE PRESENT railway laws introduced by the government at Westminster since 1993 are unnecessarily restrictive and are hampering growth, according to the Scottish Government. It is also concerned about the prospect of the next ScotRail being operated by a foreign state-owned railway, particularly when Scottish public bodies are barred from competing. Now, just days before the vision for Scottish railways from 2014 is expected to be unveiled by Holyrood, Scottish ministers have staged an attack on existing railway legislation, and are calling for further devolution to allow Scotland to make more of its own decisions.